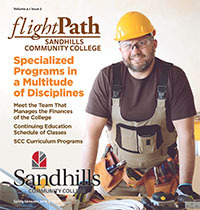 The Continuing Education Career Training program at Sandhills Community College is a perfect local resource for adult learners who want to improve workplace skills, achieve job certification or recertification, improve employment marketability or explore new opportunities. “EKG Technician” will be held on Mondays and Wednesdays, Jan. 23-May 13 from 6-9 p.m. The cost is $185 plus the cost of the text. “Nurse Aide, Level 1” will be held on Mondays and Wednesdays, Jan. 7-May 6, from 8:30 a.m.-2 p.m. with lab 2-4 p.m. and another class Tuesdays and Thursdays, Jan. 8-May 7 from 4-9:30 p.m. with lab 2-4 p.m. The cost is $205.50 plus the cost of the course pack. “Medical Administrative Assistant” will be held on Mondays and Wednesdays, Jan. 14-May 15 from 6-9 p.m. The cost is $255 plus the cost of the text. “Pharmacy Technician” will be held on Tuesdays and Thursdays, Jan. 22-May 9 from 6-9:30 p.m. The cost is $185 plus the cost of the text. “Phlebotomy Technician & Clinical Rotation” will be held Tuesdays and Thursdays, Jan. 15-May 9 from 6-9 p.m., with two weeks of clinical time Monday-Friday, 8 a.m.-4:30 p.m., and four Saturday classes from 9 a.m.-3 p.m. The cost is $205.50 plus the cost of the text. Successful completion of “Auto Safety Inspection” certifies students to inspect motor vehicles under the NC Motor Vehicles Safety Inspection Law. The prerequisite for this class is a valid driver’s license. “Auto Safety Inspection” will be held on Monday, Jan. 14 and Tuesday, Jan. 15 from 6-10 p.m. The cost is $75. “OBD Emissions Control Inspection” certifies students to inspect motor vehicles under the NC Motor Vehicles OBD Emissions Control Inspection Law. The prerequisite for this class is “Certified Auto Safety Inspection.” This is also the Recertification class. “OBD Emissions Control Inspection” will be held on Monday, Jan. 28 and Tuesday, Jan. 29 from 6-10 p.m. The cost is $75. “Job Opportunities in Drone Technology” is a two-hour mini-session. Small Unmanned Aircraft Systems (sUAS/UAV) technology has many applications and uses across many commercial enterprises and industries. The skill set can be quickly learned and is in demand with scores of opportunities for those who become certified through the F.A.A. Explore opportunities available through UAS Drone technology flight skills. A flight demonstration is included. “Job Opportunities in Drone Technology” will be held on Wednesday, Jan. 16 from 3-5 p.m. The cost is $20. “F.A.A. Remote Drone Pilot Certification” prepares you for the F.A.A. Part 107 Remote Pilot certification exam. Topics include flight theory, flight operations, and flight training, national airspace & weather utilizing the Federal Aviation Administration (FAA) Remote Pilot – Small Unmanned Aircraft Systems Study Guide, North Carolina Unmanned Aircraft Systems Operator Permit Knowledge Test Study Guide, and North Carolina Department of Transportation (NCDOT) Division of Aviation UAS flight standards & best practices. Upon completion, students will be prepared to sit for the FAA Part 107 Remote Pilot Knowledge Test and NCDOT UAS Operator Permit. “F.A.A. Remote Drone Pilot Certification” will be held on Tuesdays and Thursdays, Jan. 29-Feb. 28 from 6:30-8:30 p.m., with two Saturday classes, Feb. 2 & 16 from 10 a.m.-2:30 p.m. The cost is $185 plus the cost of the text. Price includes a drone. 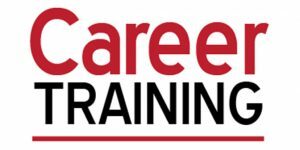 Earning your SHRM-CP or SHRM-SCP credential makes you a recognized expert and leader in the Human Resource field, keeping you and your organization more competitive in today’s economy. “SHRM Certification” sets you apart from your colleagues, proving your high level of knowledge and skills. Email Lori Degre at degrel@sandhills.edu for eligibility criteria. There will be a mandatory pre-class information session on January 15 at 6:30 pm in 103 Van Dusen Hall. “SHRM Certification” will be held on Tuesdays, Jan. 22-April 9 from 6:30 p.m-9:30 p.m. The cost is $680 plus the cost of supplies. “Income Maintenance Caseworker” covers a variety of skills associated with the Income Maintenance Caseworker role to determine service eligibility. Specific focus will include proficiency in the utilization of the NCFAST application. Other topics will include skills in communication, interviewing, time management, data gathering/compiling, and data analysis. “Income Maintenance Caseworker” will be held on Tuesdays and Thursdays, Jan. 15-March 7 from 6-9 p.m. The cost is $130. “HVAC: Heating & Air Conditioning” is the first course offering of the new Construction Industry Training program. This program provides students with the skills necessary to become a heating and air conditioning technician. Course topics focus on operating principles of heating and cooling systems with emphasis on safety, theory and principles of refrigeration, types of heating/cooling systems, Ohm’s law, load calculation, troubleshooting using the various types of test equipment, servicing, repairing and installing components/entire systems and employment of customer service techniques. “HVAC: Heating & Air Conditioning” will be held on Mondays and Wednesdays, Jan. 7-May 29 from 6-9 p.m. The cost is $185 plus the cost of the text. Seats are still available for these classes. To register in person, stop by the Sandhills Community College Continuing Education office located on the first floor of Van Dusen Hall. You may also register by phone with a credit card at (910) 695-3980. Registration hours are Monday through Thursday, 8 a.m. until 5 p.m. and Fridays 8 a.m. until noon.